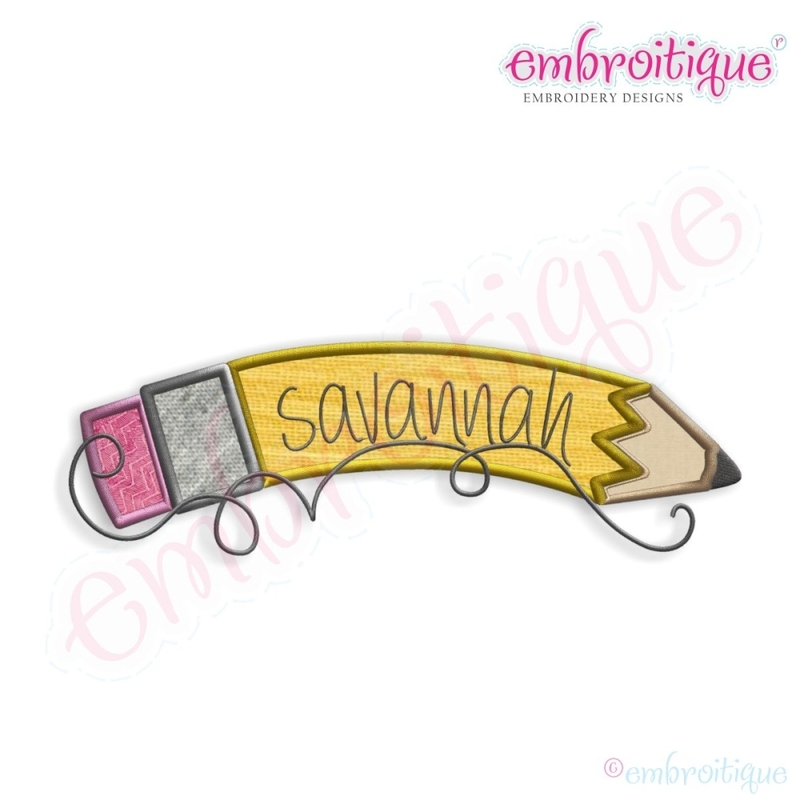 Curved Pencil Name Frame Applique - 8 Sizes! 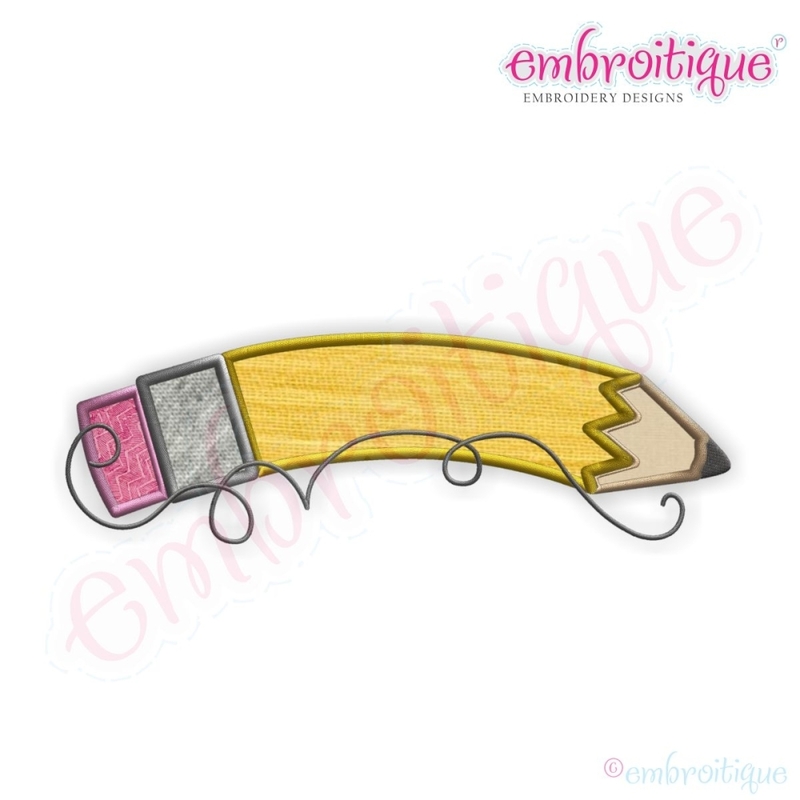 This is such a cute applique for back to school. Add a name or leave it plain! So cute either way! Pictured with our Savannah Monogram Set, sold separately. Includes eight sizes. Merry and Bright - 3 Sizes! Savannah Font - 4 Sizes! Finish Size 3.9" x 1.5"
Finish Size 4.5" x 1.44"
Finish Size 5" x 1.61"
Finish Size 5.51" x 1.77"
Finish Size 6.01" x 1.93"
Finish Size 7.01" x 2.24"
Finish Size 8.01" x 2.57"
Finish Size 9.01" x 2.89"